Possibly rare, this is the first example that we have seen or handled. Printed as one piece, this circa 1910 supplement/premium grades Good due to edge wear. Smartly matted, this displays well with excellent color. 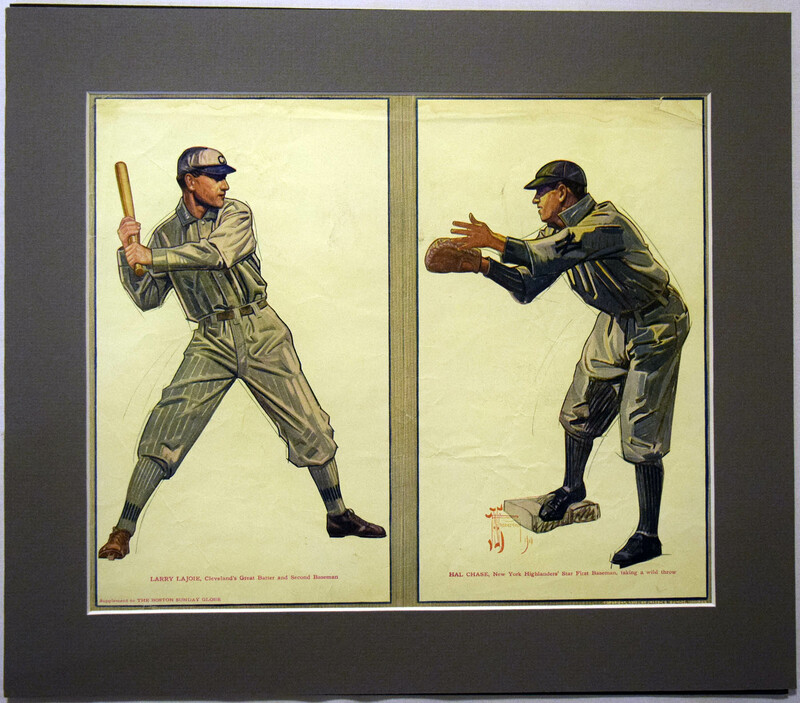 Please note both Hal Chase and Nap Lajoie have a large base of devoted collectors.